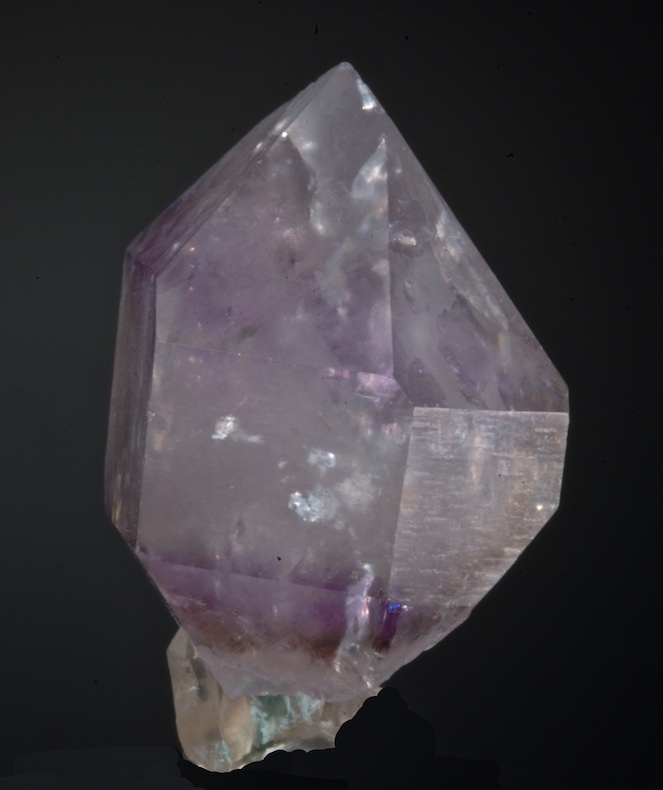 A sharp scepter of zoned Amethyst from the Urals. There are what looks like two tiny stems on this crystal , but there is really just one with an ingrown second crystal. In very good condition, ex William Hladysz collection, a choice thumbnail from this classic locality. 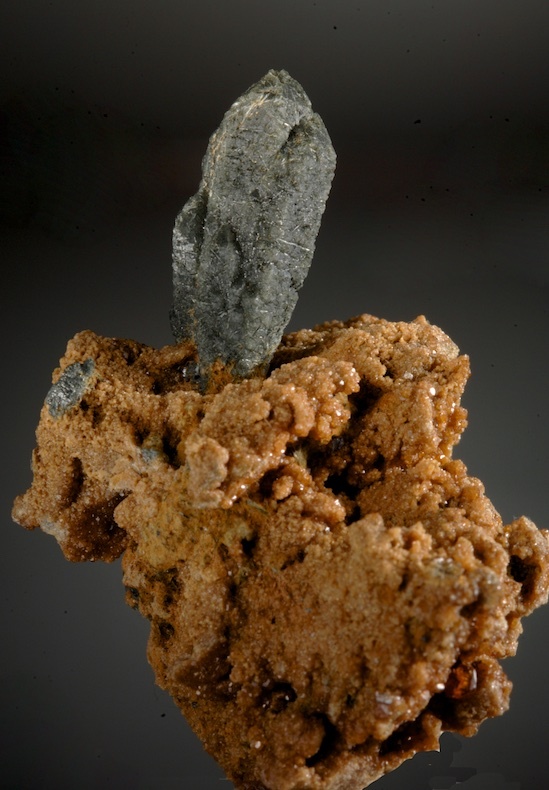 One of the most respected European classics are the Pyromorphites that were pseudomorphed by Galena from Kautenbach. 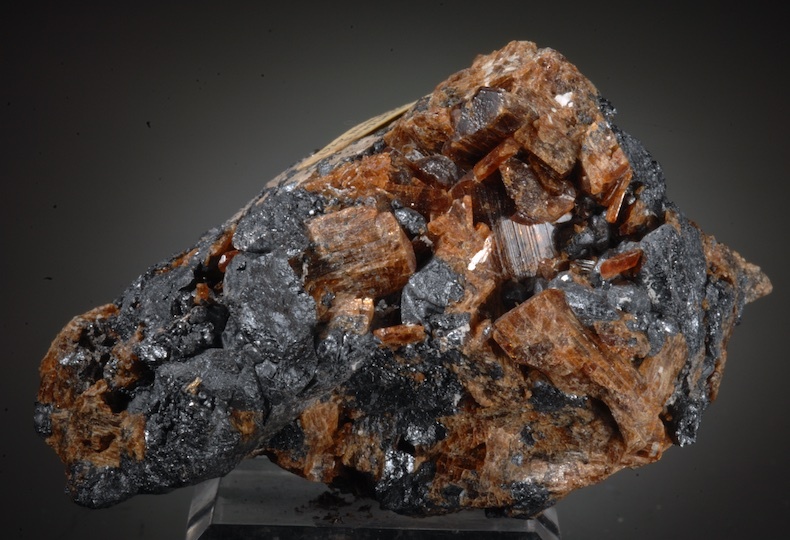 This specimen has very sharp and distinct hexagonal crystals that in some cases are fully pseudomorphed to Galena and a few have a later regrowth of an outer layer of Pyromorphite. The crystals are well exposed and stand up above the matrix. Very clean damage wise, the crystals on this specimen are small but much more distinct than usual from this classic locale. Ex Seaman museum, most specimens of this sort we have handled had larger crystals but also far larger price tags, usually in the 4-8K range. This is a good example of this treasured classic that is affordable but still choice. One of the best newer things to come from Inner Mongolia are these inky blue Fluorite crystals covering milky Quartz crystals. This one is a very choice example in fine condition and with strong esthetics. We examined hundreds of specimens from this find but only selected a few few based on composition, condition and overall quality. This has the most intense color of any. I consider this association one of the best new mineral finds of the past few years and of course the supply is not infinite. 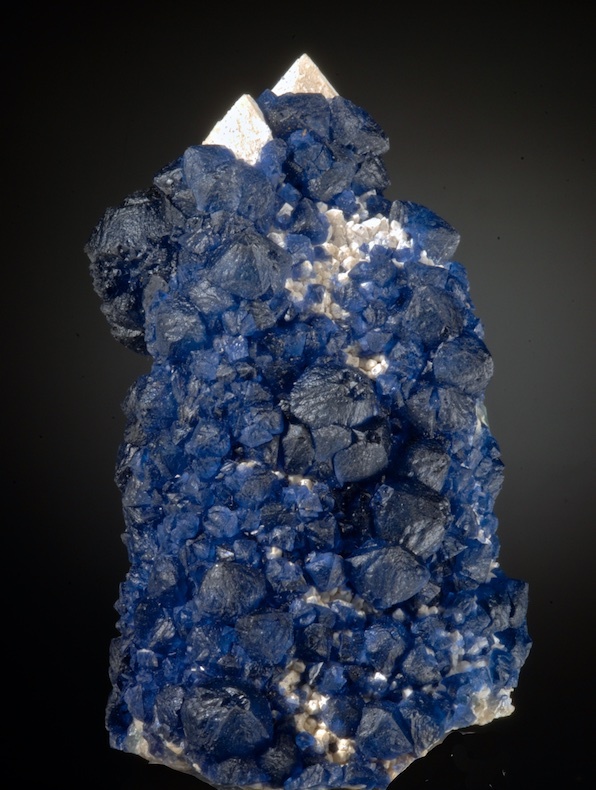 In strong lighting the Fluorites really glow a deep indigo, and this example has very well formed complex crystals to 2 cm in size. The pair of sharp hexagonal terminations of the milky Quartz that poke out of the top are an especially nice touch. We have a nice selection of these in all price ranges, this one is a far better than average and good value. Super example of the find, and a very striking display specimen. 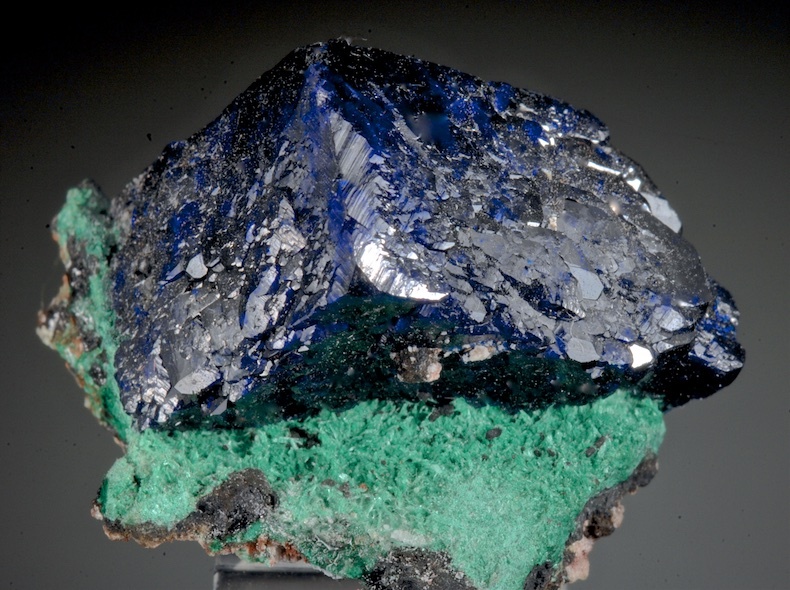 Pretty thumbnail of lustrous Azurite on contrasting green Malachite. There were many Milpillas Azurites in the big finds that ended 3 years ago, this resulted in great opportunities for collectors to get very good pieces at abnormally low costs. This is such a piece with the bright color, sharp form and fine contrast. In excellent condition, looks good front and back. A rich mass of Grossular Garnets on a Rodingite matrix from the famed Asbest deposit in the Urals. Some of the Grossular are gemmy and have good color as well. 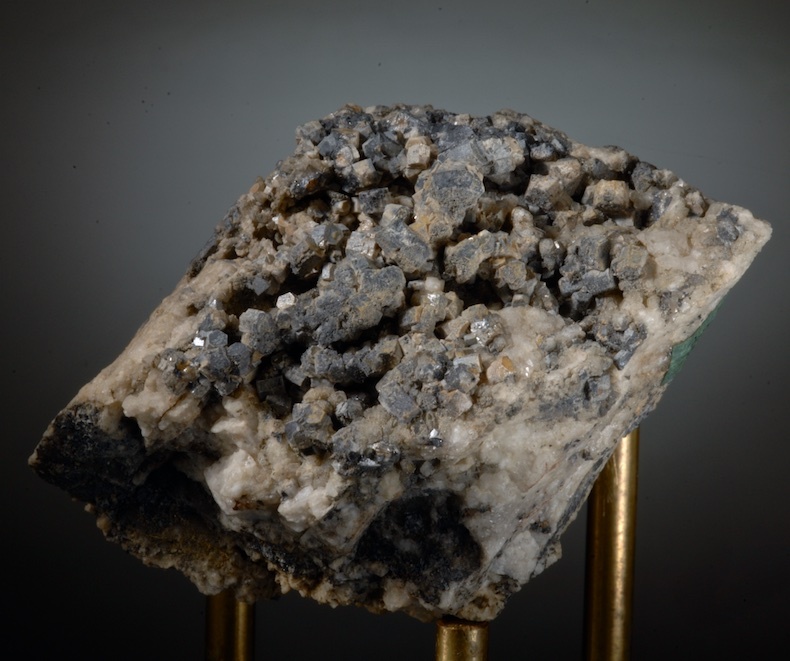 These are always being compared with the better known deposits in the town of Asbestos in Canada, and there are many similarities between the two. Perhaps the most striking difference is that there are very few fine Grossular from Asbest in collections, there are quite rare on the market and usually very small. This is super specimen for the locale. in great condition very lustrous and more impressive in person. A choice Greek Smithsonite with deep color, bright luster and excellent form. 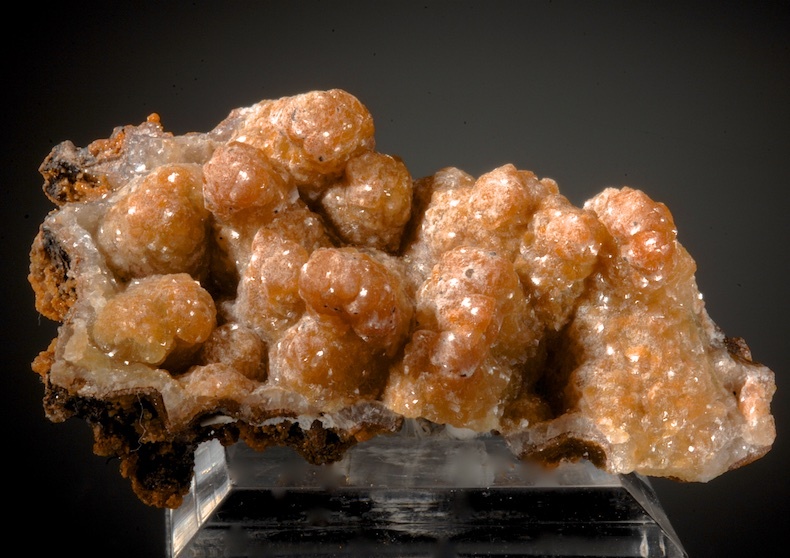 In undamaged condition as seen, the fingers and globs of Smithsonite rise from a contrasting gossan matrix. 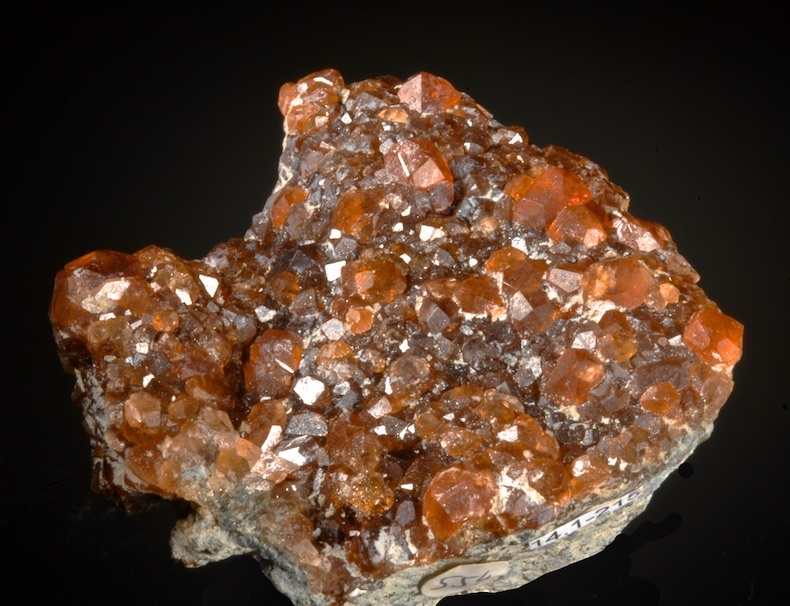 This is from one of the oldest mineral localities on the planet, and is an attractive example of the orange-brown color. Nice sparkle in person.